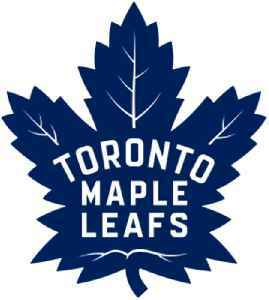 The Toronto Maple Leafs are a professional ice hockey team based in Toronto, Ontario. They are members of the Atlantic Division of the Eastern Conference of the National Hockey League (NHL). The club is owned by Maple Leaf Sports & Entertainment, Ltd. and are represented by Chairman Larry Tanenbaum. With an estimated value of US $1.45 billion in 2018 according to Forbes, the Maple Leafs are the second most valuable franchise in the NHL, after the New York Rangers. The Maple Leafs' broadcasting rights are split between BCE Inc. and Rogers Communications. For their first 14 seasons, the club played their home games at the Mutual Street Arena, before moving to Maple Leaf Gardens in 1931. The Maple Leafs moved to their present home, Scotiabank Arena in February 1999.